Paul is a founding member of Kirkpatrick & Startzel, P.S. with over 30 years of litigation experience. Paul has represented clients in Washington, Idaho, and Montana in litigation matters related to personal injury, product liability, employment law, insurance law, veterinary law, and insurance defense litigation. Paul has also represented municipalities on cases involving alleged civil rights violations, road design issues, police and jail procedures, inverse condemnation claims and employment disputes. 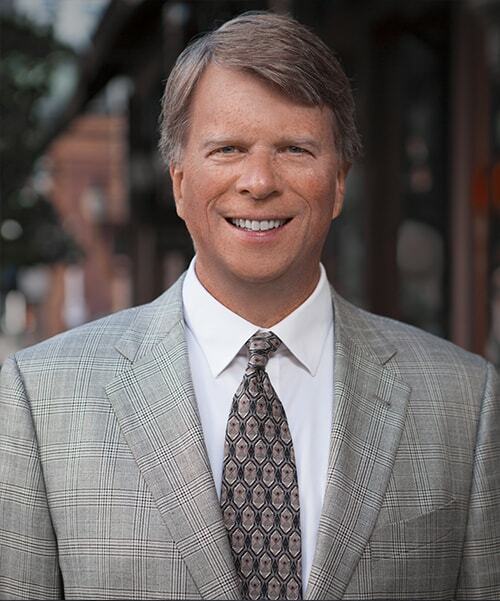 In addition to his legal practice, Paul has been a successful mediator for over 10 years. He has mediated a wide variety of cases including cases involving personal injury, business disputes, employment disputes and product liability claims. Successful resolution of cases involving clients with severe back injuries from motor vehicle accidents. Paul is a volunteer for Spokane’s Crosswalk teen shelter as well as an advisor for a Washington State University fraternity. Paul enjoys skiing, golfing, biking and spending time with his family.